Let’s talk prom. The whole getting ready with your friends, working football concession stands to bump costs off your ticket, the impending doom of messing up your hair. 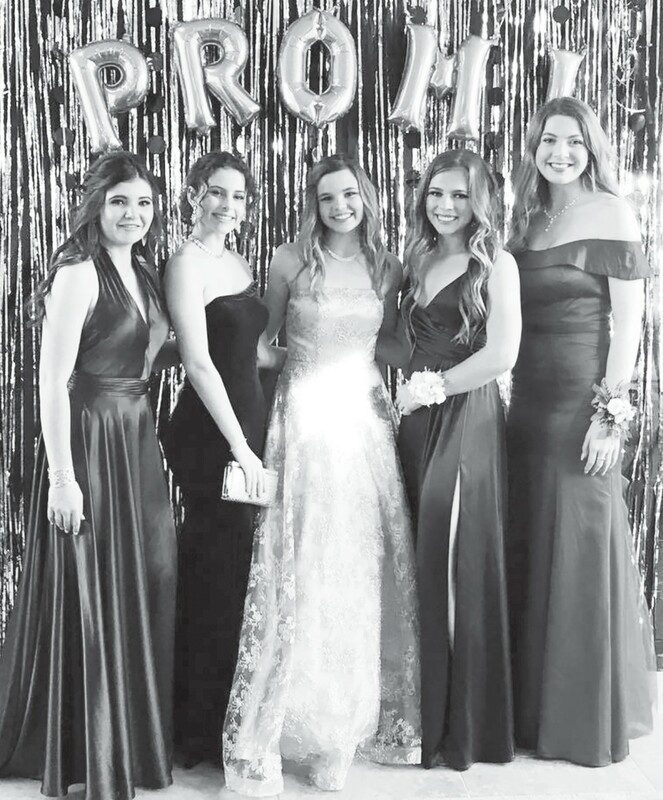 Ok, maybe that’s a little far fetched, but the reality is that prom is meant to be a fun night to interact with your peers and it’s not that detrimental. You wanna wear all black? Awesome! Wanna wear a tiara and a frilly pink tutu? Cute! Events like this are awesome ways to express yourself and showcase your individuality. Well maybe it’s not your cup of tea to begin with, that’s fine too! I have friends who didn’t go because they were saving up for a car or planned to travel in the future; there are a quite a few things in high school a lot of us feel inclined to do because, well, everyone’s doing it; but here’s a little secret, if you don’t want to go, the cool thing is you don’t have to and that’s your choice to make! Even if you’re balling on a budget you can still show up and slay. Today we have the privilege of thrift store finds being “hip” and “retro”, I mean come on who doesn’t love a cute outfit for an awesome price? Pleasanton’s prom last Saturday took place at the beautiful and historic St. Anthony Hotel in downtown San Antonio. The hosts catering the event complimented us that the students were so polite and they had never had such a well behaved and respectful group (pride, pride, Eagle pride.) Thanks to the elegant chandeliers, the schools theme of “dripping in diamonds” was very well suited. The night started with sparkling hour and when the bells chimed the ballroom awaited its guests. Throughout the night awards were gifted to students able to complete a task such as who had a piece of dental floss, a stick of gum, a tube of lipstick, or their ID. Students raved about the free photo booth set up with props and a photographer on location for an additional cost. 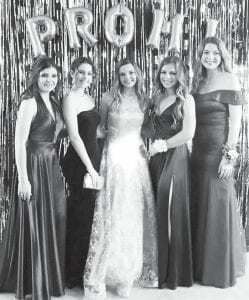 Prom goers had the option of many hors d’oeuvres such as a fennel cured smoked salmon, herb toast, citrus creme fraiche; peppered tenderloin beef satay with house steak sauce; or chicken empanadas and fresh lump crab cake. While students were a little upset with the lack of two steps, the upbeat tunes had everyone on the dance floor at all times. All in all it was a beautiful night full of even more beautiful people. MACKENZIE PILGRIM is a Junior at Pleasanton High School where she is a member of BPA, NHS, Spanish Club, Student Council, Garden Club, and a class officer. She also works as a Graphic Design Office Assistant at PISD and is a paid “Rock Star” Intern at the Pleasanton Express.